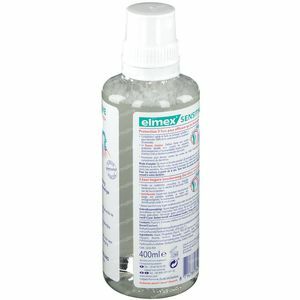 Elmex Sensitive Dental Rinse 400 ml order online. 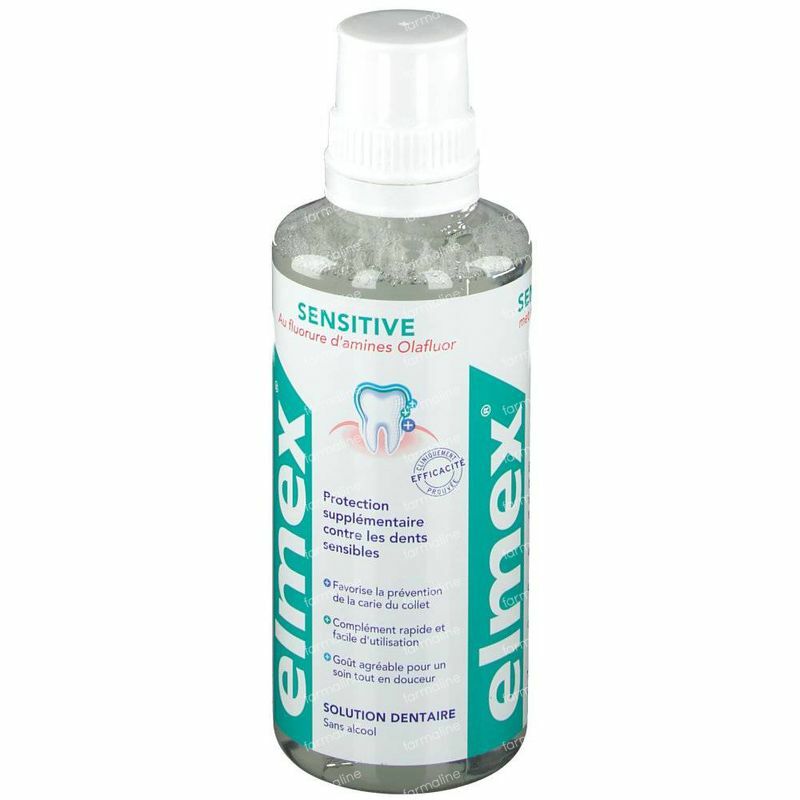 Effective and lasting pain relief for sensitive teeth. Receding gums and damage to your enamel can expose thousands of microscopic channels which lead to your tooth's nerve centre. When your teeth make contact with something hot, cold or sweet, sensations are carried down these channels directly to the nerves, causing pain. 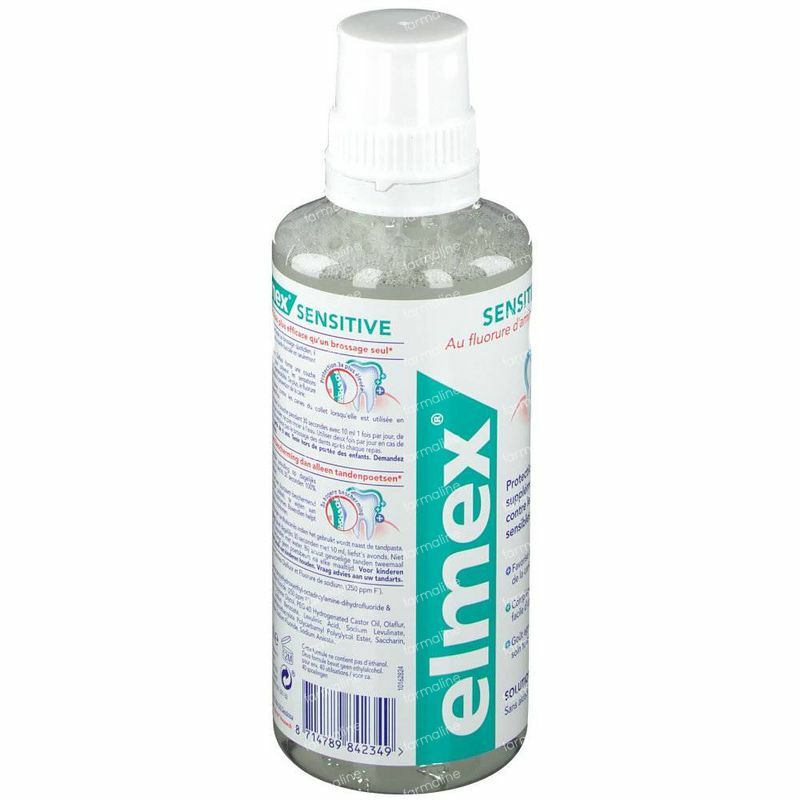 Elmex SENSITIVE PROFESSIONAL dental rinse works by coating the channels that lead to sensitive tooth nerves, to block the pain. With regular use, it builds a long-lasting protective barrier that acts like a seal against sensitivity and provides effective and lasting relief. Rinse twice daily for 30 seconds with 20 ml of dental rinse and then spit out. 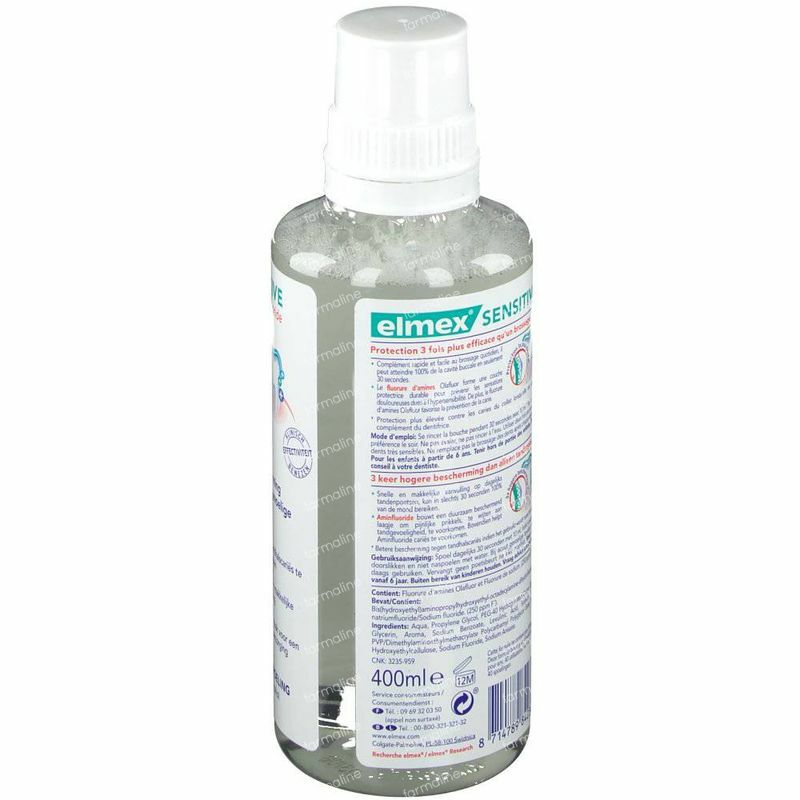 Recommended to use after brushing with Elmex SENSITIVE PROFESSIONAL toothpaste and toothbrush. Sensitive teeth may indicate an underlying problem that may need prompt care by a dentist if pain persists. Not recommended for children under 6 years of age.